Hi! I'm Ken Kloess. Thanks for visiting my website. I'll tell you a little bit about myself. I graduated from Dupo High School in 1978, and attended Eastern Illinois University for undergraduate studies. I earned my Doctor of Dental Medicine degree from Southern Illinois University School of Dental Medicine in 1985, and started my practice in the fall of that year. I have practiced in the same Dupo location for 31 years. I enjoy the practice of dentistry for the challenge it presents in devising practical solutions to complex problems. Keeping up with dental continuing education courses and investing in new diagnostic technology helps me visualize new ways to solve problems that greatly benefit the patient. I am honored that patients choose to place their trust in my office for their dental treatment. On a more personal note, I have two children, Ben and Haley, that I am very proud of. Ben is currently attending dental school and Haley is living in Los Angeles beginning her career in entertainment. In my spare time, I enjoy instructing high performance driving schools, automotive restoration, and travelling. Hi! My name is Carmen. I have been with Dr. Kloess since 1990. Yes, that long!! I have worked clinically as well as clerically for Dr. Kloess. 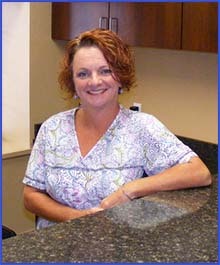 I consider our staff and patients alike my "dental family", and consider their health and well being as I do my own. I graduated from Valmeyer High School in 1989 and Missouri College of Dental Assisting in 1990. 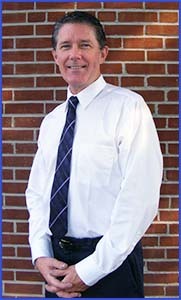 Through out the years at Dr. Kloess' I have become very knowledgeable in all aspects of dentistry. I am confident that I will work dilegently for you and your family in making your time at our practice comfortable, affordable, and even a pleasant one. I am a mom of a 24 year old son (let me re-phrase man), who has made me proud. In our spare time we enjoy camping, gardening, atv riding, bowhunting and spending time with friends and family. Hi, my name is Judy! I am Dr. Kloess' dental hygienist. I have been with Dr. Kloess since graduating dental hygiene school in 1991. I started my dental career after graduating dental assisting school at Bryant Insitute in December 1983. In 1989 I decided I wanted to further my career as a dental hygienist. I enrolled at Forest Park Community College and the rest is history. I enjoy working with Dr. Kloess, getting to know my patients, and helping them create and maintain beautiful smiles and dental health. Hello I am Machelle. 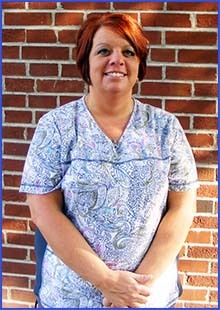 I have been dental assisting since 1997 and employed by Dr. Kloess since August 2000. I am Dr. Kloess' clinical assistant, better known as his "right hand woman". I graduated from Dupo High School in 1996 and Missouri College in 1997, going straight into dentistry and loving it ever since. Working as a certified dental assistant has been a great experience. Caring for patients, helping create happy, healthy smiles that will last a lifetime is a great accomplishment. Being mom to my son, Dustin and five year old Alondra....is my other full time job. In my spare time I enjoy Cardinal Baseball, dining out, and hanging with friends.